What does it mean to be a good teacher? It’s rather safe to assume that we all strive to be the best we can be. This may be in certain areas of our lives, or in all aspects. This may involve relationships, where you strive to be the best you can be for that person, putting yourself second, and prioritizing their needs above yours. In friendships, where you put constant effort into supporting the people around you and loving them in the best way you know how. It could be in the day to day, reminding yourself to be kind to others, doing good deeds, and being the best citizens you can be. Or, this may be in the workplace, where you put daily effort in to be the best employee, accomplishing tasks at hand, and going above and beyond to please. For myself, I strive to be the best, to be liked, to be kind, and to be good. This is of course not always possible, and I certainly fail often, but this does not take away from the nature of my goodness, it doesn’t make me less or looked at as a failure, but rather, someone who has taken the necessary steps to get where I am. As a future teacher, I aspire to be an example for my students. I would like my students to see me as an inspiration, as someone who has worked hard to get where I am, that is good and kind, who loves them unconditionally, and someone who they can trust wholeheartedly. As goodness, love, and trust are at the foundation in which creates a good teacher. I strive to be a good teacher, I would like to be viewed as wise, for them to think that I am funny, but to know when it is time to be serious, as well. I want them to know that I am humble and approachable. I would want them to know that they can talk to me about anything, school related, or pertaining to their home. I hope to be an influential figure in their lives, and someone that they know is there for them, in all aspects of life. Regardless of their home life, I want them to know how much they are loved. They should know that I am patient, and although I may seem frustrated with them at times, that my heart is there for them, and that I love them with all that I am. In a secular school system, along with life in general, a good teacher knows it is important to understand that there will always be a variety of different beliefs, completely dependent on how each child was raised. I will never treat any one of them differently for having another opinion, or being raised in a certain manner. I will respect their beliefs, just as I would expect them to respect my own. By this I mean, I would teach with passion, show grace and forgiveness, and put an emphasis on respecting others and treating them with love. I will need to understand and incorporate Aboriginal culture into my lessons and activities. It begins with learning what happened, healing from it, and then proceeding forward. I understand the value of oral stories, and what the elders have to offer. I would certainly invite them into my class, as they are the ones who can best tell the stories, so the students will hear it firsthand. If we are lucky enough to have an aboriginal educator or an elder at the school I am placed at, I would invite them into teach my students about the local language. Other ways, could include introducing aboriginal art, and teaching the history to my students. A good teacher is aware of issues that can arise in the classroom, and privilege certainly can be an issue. A lot of what is learnt at home, is carried into the classroom. If a student is taught that they are a part of a certain group with their family, they will hold onto that as part of their identity, and that could carry into the classroom, and into their friend groups. I am well aware that some families are more well off than others, but it is difficult as that impedes into the students’ minds. Poverty, for example, can affect students drastically. As educators, we need to ensure that our students’ basic needs are being met. Are they being fed, getting enough rest, do they have parental support at home, follow a routine, and have personal hygiene? These are all factors that play into how poverty can affect the children in the class. I would need my students to know that I am happy to be with them, and to watch them grow. To know that I would not be there teaching them if I wasn’t fully committed to them, their potential, and their learning. I believe that every child is capable of learning, regardless of their learning style. I hope to be able to reach every student in the method I decide to teach, in order to target specific challenges, and for them to grasp what we are focusing on in that lesson. I will incorporate auditory, kinesthetic, and visual techniques throughout the year, each lesson specifically designed for my learners. I will tend to the talents, passions, and interests of my students, and try my best to cultivate them. I intend to encourage every child, and to show them what they are capable of. I want to be able to see the sparkle of passion in their eyes, before they do. I’d like them to know that they can reach the stars, and I’m simply there to give them a boost. Our classroom will be just that, our classroom. The students will need to know that our classroom is a place to learn, to imagine, to create, to be loved, and to feel safe. Our classroom will be a calming, nurturing environment meant for learning and open-mindedness. More than anything, I want my students to remember years down the road, and be able to think back to everything I had the pleasure of teaching them, and to the experiences we shared together. Vancouver Island University’s Teacher Education Program does a superb job at forming teachers who act ethically and honestly in the classroom, and in the school setting. Throughout this program, we have had the pleasure of taking some fantastic and interesting courses with many professors who I would classify as good teachers, and good people. I love how adaptive this program is, each year the format shifts to improve on itself. We leave this program with an entirely new language, that we would not have understood on day one, walking into our first class together. Educational terms and language is used by many, and it is extraordinary for us to be able to communicate with one another, our professors, and the other educators in the district in which we were placed. We are able to take the valuable information we acquire during these sweet three years, and we become assets to the profession, as we have new and relevant methods of teaching in the classroom. We are able to share this information with the veteran teachers in the schools we are placed at for practicum, as they have been out of university for possibly years, and may not necessarily have the knowledge we do about newer techniques, or the new curriculum. There are certainly flaws in this program, but I believe they have all been steps and learning experiences to get us where we are today. To every situation I see as flawed, I can also find reasoning behind it. One of these being the program is three years long, when it feels like it could have been completed in two. I understand, though, that there are a certain number of credits that need to be attained, prior to entering the program, which would have been difficult to complete in just two years. Another reasoning for this, may be very well the life experience and maturity necessary to complete this degree, there are many students who have already lived a full life, before returning to school to complete it, but many of us were fresh out of high school, entering university, with this program as the end goal. We have all grown as individuals and as a group, having spent this amount of time together. I don’t believe that good teachers can be taught to be good teachers, as it starts with whether or not they are good people. There is no course in university or assignment that can be done that can turn an ill heart into something beautiful, that strives to see goodness done in the world. Every good teacher that I have ever known taught me something through who they were, and where their intentions lay, rather than through a lesson taught in class. Teachers are human, they make mistakes, but it is the heart behind their words and actions that make them good people, and good teachers. What does implementing literacy look like to me? It’s one thing to have a personal passion for literacy, but how will I spike a similar interest in my students? I can’t just stand at the front of the class and tell them why it’s important to read and write, and how much more FUN life is when this passion drives the will. I still have a semester filled with many weeks of practicum ahead of me, so in this time, I plan on finding ways to implement practical and intriguing ways to incorporate literacy into my teaching! Once I reach my inevitable goal of being a teacher librarian, I believe it will be easier to encourage the students by showing them how great literacy can be! I will see each class about once a week, for a short period of time. For the younger grades, I will be able to chose a book for their select class, tailored to their interests, and to current events happening in the city or in our school. For me, I believe this is where the idea of how neat books really are arose. For the older grades, I will be their resource for finding information they are searching for. I will be able to talk to each of them, and help them find the answers they are in search of. This is so exciting to me! As a student, I relied on the librarian for help, in all areas, and I was usually pleasantly surprised with all they that knew. I cannot wait to be that resource for my future students. Before any of that is possible, the students need to learn HOW to read and write. Although as the librarian, I will be able to assist them on this path, I will not be able to be there for each student in the school, even though I wish I could. The learning of this starts and continues in the classroom. From an early age, the students will begin with activities to learn to read and write the alphabet. From here, they will start to build and recognize words. There are endless ideas on Pinterest, to find exciting ways to implement these types of activities. Hands on activities are so great for the littles!! 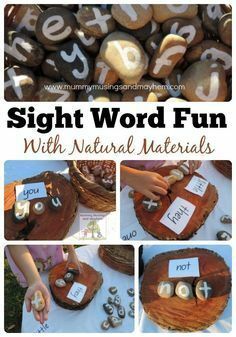 By using natural resources, like flat rocks, and writing or painting on letters, this is really ideal for them to start creating their own words. Start with simple things, like their name, and continue to grow deeper into this, by helping them create or recognize words like “cat” and “dog”. This is a great and simple way to work on words. 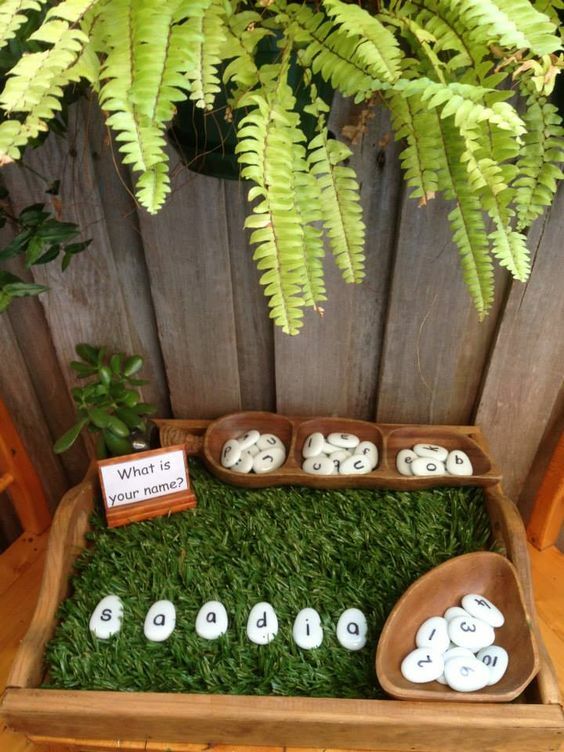 This can be adapted to many levels, its just handy for them to be able to touch and move the letters around. Also, this way, if they make a mistake, they won’t feel stuck, they can just move the letters around and start over! -the ability to read and write. -competence or knowledge in a specified area. Literacy, to me, has always been so intriguing. The thought that we can process our thoughts through writing, and not only the verbal. When the words seem to simply escape our minds before they exit from our mouths, writing can provide such a power and grace to the person trying to portray any sort of information. It gives time to process information, elaborate, and convey exactly how one is feeling in that moment. Grammar, sentence structure, and fluidity in any form of literature are my jam. There are few things I adore as much as a well written piece of work. I think my own passion for this area stems from my earlier days, through the work I was exposed to and experienced, in and through writing letters to pen pals. Up until this point, I had never really written or received a letter specifically addressed to me. The idea that communication can expand beyond friends that I see everyday at school, and family that I spend everyday with at home, was revolutionary to me. This was before any sort of instant messenger, and long before texting. We were able to get to know students of a similar age, in another province, by writing letters back and forth to one another. We were blessed with the opportunity to actually meet these friends in person a while later, after we had gotten to know each other over the course of the year. By this point in time, it already felt like we knew each other fairly well, as if we had been friends for ages. I am well aware that the concept of letter writing is not new or innovative, by any means, but to little me, it opened a new door to this entire world that I hadn’t a clue existed. From this moment onwards, my life was changed, and I really haven’t halted my passion ever since. I would much rather send a letter across the country that very well may take weeks to arrive, than send a message that will be received almost instantaneously. There’s more effort, thought, and love put into a hand written letter, and I thrive off of that. Literacy does not comprise solely of written works, it encompasses a great deal, which surely also includes literature. written works, especially those considered of superior or lasting artistic merit. While I am certain that there are some who may prefer reading over writing, or vice versa, these two really do go hand in hand. They work alongside each other, and arguably help better one another. If there is an adult or a child who struggles with writing, they can improve their skills in this area by grasping further knowledge of literature. This can expand vocabulary, improve spelling, and provide new ideas for the writer to explore. I had a desire for reading, for as long as I can remember. I would spend my recess in the library sorting, organizing, and reading books. I was most certainly “that library kid”, and I loved every minute of it. The library was a sort of saving grace for me, as I knew that I was always welcomed there, and it gave me a place to escape the chaotic and refocus. It brought comfort to me, and through this, my intrigue into the world of literature grew into a passion that I still hold dear to me to this day. This, in fact, sparked enough of an interest in me, that I am now pursuing a career with the end goal of becoming an elementary school librarian, so I can help create this safe place for students to come and explore their own paths.